Learn to drive with us! You will drive sooner with L2D Driving School Fitzroy! We are one of the most experienced and popular Driving Schools in Fitzroy. Learn from the best Driving Instructors Fitzroy has to offer today. Celebrate driving and pass with us. We have the most affordable Driving Lessons in Fitzroy. Book 9 driving lessons in Fitzroy and get your 10th driving lesson COMPLETELY FREE! 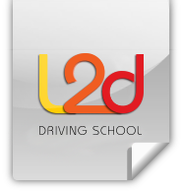 Here at Driving Schools in Fitzroy, L2D School you can choose from a variety of great driving lessons and courses to suit both you and your pocket. We teach a variety of drivers from new or beginner drivers to advanced and experienced drivers from both here and oversee's. If you have taken a break from driving and need refresher lessons to get you driving again or if you have lost your confidence due to an accident or incident and just need help getting you back on the road and driving safely. we are the right choice for you. Your first decision when learning to drive is whether you wish to learn in a manual car or an automatic car. Automatic Cars have no clutch and require no gear changes whilst driving. Please note that if you pass your test in an automatic car you will not be able to drive a manual car until you have passed this test. A manual car requires a lot more skill and control in order to work the clutch and gears whilst breaking and observing the road and maneuvering. Involves some relatively simple, low-risk driving tasks in a less-challenging traffic environments in Fitzroy. Assesses safe driving skills in day to day driving tasks in busier traffic situations in and around Fitzroy VIC. Takes 30 minutes after which scores are added and safe drivers will get their probationary licences and unsuccessful applicants are allowed to reapply, improve and try the driving test again. We provide a whole variety of cheap driving lessons in Fitzroy. So please choose from the many choices of courses below. We teach both young and old students who have never ever sat behind the wheel of a car and may be nervous or slightly anxious about learning to drive in Fitzroy VIC. Suitable for experienced drivers in Fitzroy who may want to take their skills and abilities that stage further to become a more competent and safer driver. With these driving lessons we simulate the exact driving test conditions you will encounter to ensure that you are ready to pass your driving test first time, these lesson types are particularly useful if you are a lightly nervous driver under exam conditions. During our driving lessons in Fitzroy we teach you about driving on Fitzroy Streets, road signs and driving etiquette and most importantly driver safety. See our great range of Special driving lesson prices in Fitzroy.